Samsung has taken the top billing in the global smartphone stakes for the three months ending September, beating out Apple in the process, according to the latest figures by Gatner. The analyst firm’s research shows that global sales of smartphones to end users totalled 383 million units in the third quarter of 2017, representing a three per cent increase over the same period in 2016. With the exception of Apple, which achieved a 5.7 per cent year-on-year increase during the period, the top five smartphone vendors each achieved double-digit growth. Of those that saw double-digit growth, Samsung’s smartphone sales recorded an increase of 19.3 per cent in the third quarter of 2017. During the period, Samsung shipped over 85 million smartphone units, claiming 22.3 per cent of the global market share during the quarter. Apple, meanwhile, came in at a distant second in terms of market share for the quarter, claiming just 11.9 per cent, with 45.4 million units shipped, according to Gartner. Huawei, Oppo and Xaomi came in at third, fourth and fifth, respectively, in terms of market share. "Despite market weakness in China, sales of smartphones rose in the third quarter of 2017," Gartner research director, Anshul Gupta, said. "Emerging Asia Pacific (15 per cent increase) and North America (11.2 per cent increase) drove the smartphone growth in the quarter. "In emerging Asia Pacific, both Samsung and Huawei saw healthy demand as along with Xiaomi and Vivo, which were able to grow their footprint outside their home markets. In North America, Samsung was the driving force in the quarter due to its new flagship products,” he said. Gupta attributed Samsung’s strong lead to renewed pushes of its newly designed Galaxy S8, S8+ and Note 8 smartphones, which have brought back growing demand for Samsung smartphones, helping the South Korean company compete against Chinese manufacturers and deliver a solid performance in the quarter. "The last time Samsung achieved a double-digit growth was in the fourth quarter of 2015,” Gupta said. At the same time, Apple returned to growth in China while also seeing strong sales in many emerging markets, including India. According to Gartner, this was due in part to the continued sales of legacy iPhones, including the iPhone 5S. “The arrival of Apple's new flagship iPhones at the end of the third quarter of 2017 has delayed smartphone purchases into the fourth quarter of 2017," Gupta said. "Following compelling offers on Black Friday and Cyber Monday, the holiday season will likely boost sales of smartphones before the end of the year. “We estimate the fourth quarter’s smartphone sales will boost total sales for the full year. 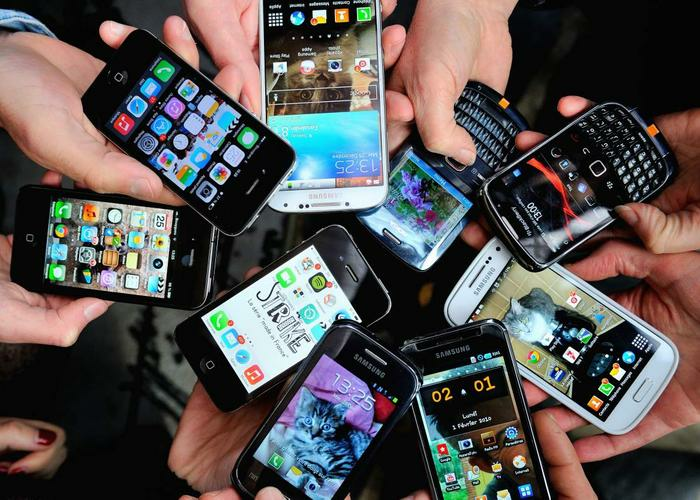 We expect smartphone sales will reach 1.57 billion units in 2017," he said.